To scale the Mass Open Cloud’s compute nodes while accelerating graphics processing units (GPUs), the ChRIS team needed to control computer servers that occupy two acres of space. Red Hat OpenStack Platform was used to automate the deployment of compute and storage resources to make rapid, parallel calculations and store results. Red Hat OpenStack Platform provides the ability to make those computing resources available on-demand, so costs (hardware, power, cooling, etc.) are not wasted when the system is idle. It also allows resources to scale up for maximum efficiency when thousands or millions of tasks need to happen in parallel. The OpenStack community is backed by thousands of open source engineers and companies that have years of experience having built some pretty large research environments. The team needed to create the computer applications that could use all of those computing resources. 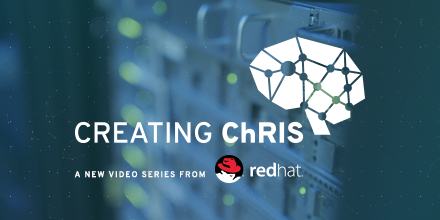 This is where Red Hat OpenShift Container Platform provides a scalable platform for applications to take advantage of artificial intelligence and machine learning. OpenShift Container Platform takes advantage of Linux containers and Kubernetes to make building and scaling applications easier. Bringing together the technologies from two large open source communities will help the MOC learn from the web-scale experience of open source. And OpenShift Container Platform hides the complexities of the system so developers can focus on writing applications, analyzing results, and constantly improving the overall system. But harnessing all this computing power is only part of the journey. The other part is harnessing the power of community to improve the system and expand the ability to collaborate among researchers and doctors. The MOC works with Red Hat not just for technology, but to help learn how to better engage with communities in an open collaboration model. The model that has worked for 25 years for software development can be also be applied to work for medical research. Open source is core to who Red Hat is. We’ve been helping customers succeed with open source software and open communities for decades—with some pretty incredible results. The collaboration among Boston Children’s Hospital, Mass Open Cloud, and Red Hat is bringing together medicine, open technology, and massive compute power showing that when the right technologies, people, and organizations work together, major medical advances can be made.